2.5" inch 63mm (4)Sharpstone Black color aluminum Grinder . This is 4 piece grinder with Clear Top. 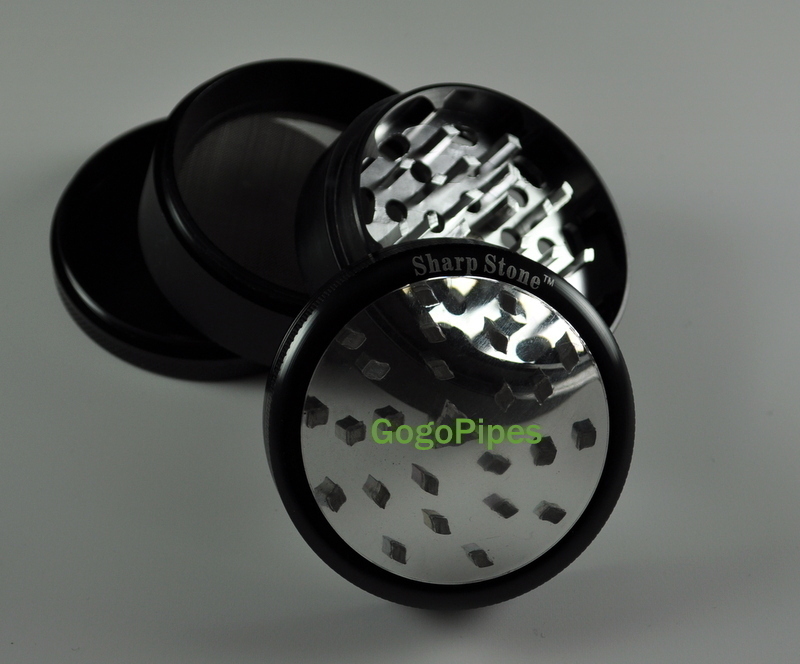 This is a brand new Sharpstone magnetic grinder for tobacco, herb, and spice. This sharpstone grinder is Black color.